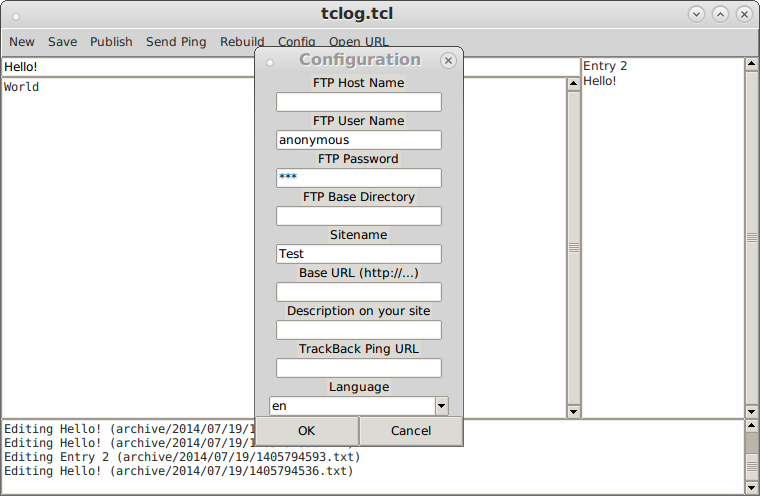 tclog is a weblog application written in Tcl/Tk. This repository hosts a fork of the original project, which is no longer available on sourceforge.jp. v1.2.1 + FTP patch — the original code from 2004 patched to use passive mode FTP. Latest — click "Tarball" to download.